2. 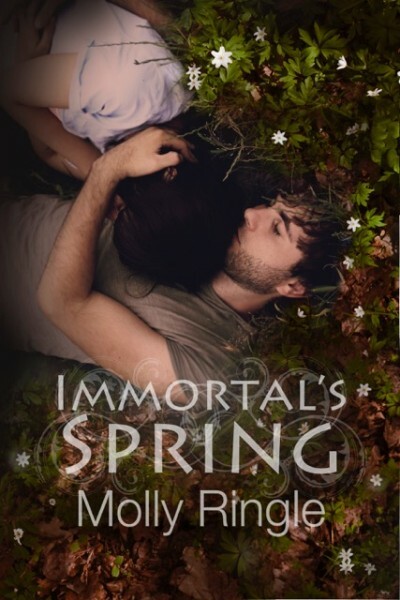 Writing: I'm done with the ARC-level (advance reading copy) edits for Immortal's Spring. Whew! Back to newer projects I can go. Writing a series, like giving birth, was the kind of uber-complicated marathon that I'm in no hurry to do again. But, also like giving birth, at the same time it's something I'm immensely proud of having accomplished. Also, how beautiful is our cover art? How about you guys? Viewing/reading recommendations? I'm still hooked on The Blacklist, even after 2 and a bit seasons. James Spader's monologues are just visual poetry - of course, not written by him, the delivery - oh the delivery. Funnily enough, I've put aside fiction for the time being (namely the revisions on my own ARC) and I'm reading a visual history of Westminster Abbey. My mother in law lent me a copy after we went down a wonderful rabbit hole talking about the history of the Royal Family. Depsite my contemporary mindset, I have to admit to a grudging affection for the British Royals - mainly because they seem to be just as crazy as my own family - and with far more interesting skeletons in their closets. My 'Walhalla' project is on a hiatus of sorts while I try to work out just what I am going to do with it. I like the royals too, and find the whole system weirdly interesting. I mean, growing up with that insane level of constant public scrutiny: how do they stand it? Do all the perks really make it worthwhile? Then, yeah, the history of that family is full of so much craziness. The other year I watched 'The White Queen', about the War of the Roses, and jeeeeez, talk about a "what the hell is wrong with you people?" phase of history. Good luck on revisions and brainstorming, meanwhile! My Dad and I watch Bones, Chicago PD, Chicago Fire, The Blacklist, Blindspot, Criminal Minds, The Flash, Agents of Shield & Gotham. I'm honestly surprised by how much I've enjoyed Chicago Fire & Gotham. Reading: I started my 128th book of the year yesterday, Call Me by Your Name by André Aciman, it's okay, a little disjointed. I'm waiting for The Iron Warrior by Julie Kagawa to come in, either at the library or arrive at my house, whichever happens first. And I have Happily Ever After by Kiera Cass waiting on the hold shelf at the library for me. I also have 5 other books sitting on my counter waiting to be read. Once I finish the one I'm reading I'll probably wait for Friday and getting the one waiting for me, cause I really want to read it. Ooh, many good watching ideas! Sweet. I've been meaning to check out Kagawa's fey novels. I keep hearing good things. It does! But I haven't been doing any fanfic writing. My RPs are all original at this point. One of them was based on one of the Gundam shows originally but this "season" (we're on like 11) we went purely original with setting and such. They are fun. I love Puck the most. I enjoy the sequel series more than my bestie does. Once Upon a Time!!!! Hurry up and get to this season, it's wonderful. But the journey is pretty great, too. I'm going to watch more today! Woo! :) Eck, I just want to wipe the lipstick off her. But Emma's mascara: love that! I think it largely stands on its own, but will also come into play later on the series you're presently watching, but also consider checking out Once Upon a Time in Wonderland. It was a fun, if short-lived, spinoff that mostly had its own separate story arc. Oh fun, I didn't realize they'd done a spinoff! Endless supply of stories in this universe, really. I have been watching Once upon a Time since the beginning. I really love it, especially with all the twists and turns. If you haven't seen Humans with Colin Morgan, it's really outstanding. I just got to Belle's first episode - squee! I sense beautiful heartache ahead. For Colin alone, I may have to track down Humans. He's just that awesome in everything he does. Belle is wonderful all the way through. Humans was terrific even without Colin but he was really excellent in it.